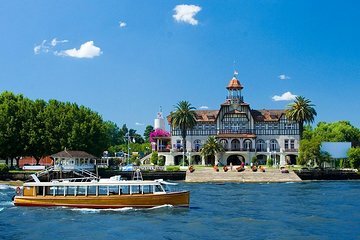 Explore a favorite day trip destination for Buenos Aires residents on a tour of the Tigre Delta combined with a Rio de la Plata cruise. Ride in a traditional boat through a network of wetlands and canals, and learn about life on the delta as you pass elevated homes, the stately Tigre Art Museum, and a local market. Back in Buenos Aires, enjoy lunch while cruising alongside the ships and skyscrapers of the city’s modern Puerto Madero district and into the nautical lifeline of the city, the Rio de la Plata.